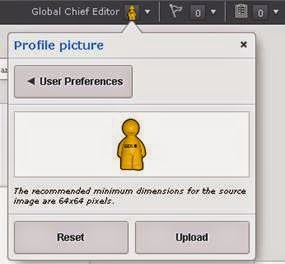 Scenario: I couldn't update a profile picture with Chrome and though this might not be mission critical in a typical production environment, it's important to my new "how to update your profile picture" exercise. Tip 1: %TRIDION_HOME% or any %ENVIRONMENT_VARIABLE% is recognized in Explorer, the Run command, and DOS commands. Tip 2: Windows shortcuts come in handy. Most of these should be familiar. Tip 3: Not all hotfixes apply. 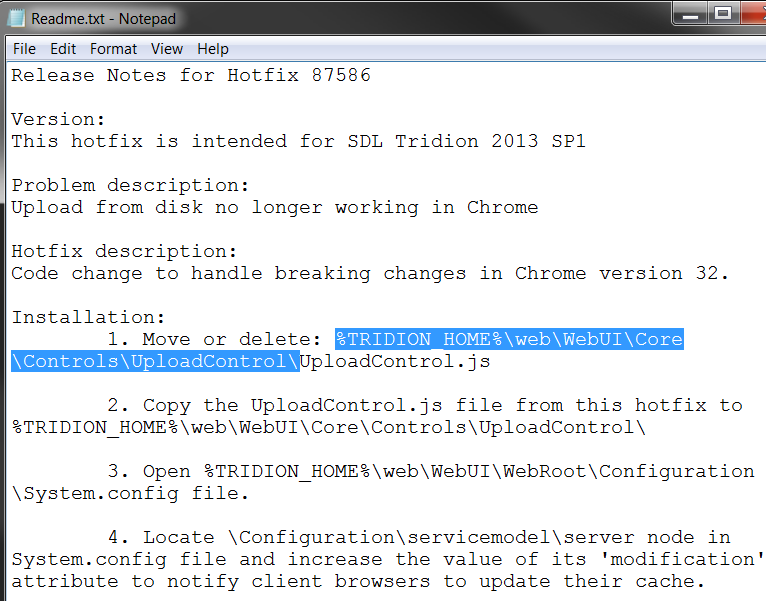 SDL Tridion World's Hotfix pages feature an important note. IMPORTANT NOTE: Hotfixes are released at the discretion of SDL Tridion based on technical complexity, customer business requirements and schedules. Hotfixes are made and tested only for the described problem on a particular environment/configuration and therefore should only be installed if approved by SDL Tridion Customer Support. Hotfixes should be replaced as soon as possible by the subsequent service pack where the problem is fixed. A hotfix or Quick Fix Engineering update (QFE update) is a single, cumulative package that includes information (often in the form of one or more files) that is used to address a problem in a software product (i.e. a software bug). Typically, hotfixes are made to address a specific customer situation. Finally Tip 4: Rely on Support. I was able to confirm with Brandon that "Uncaught Type Error: undefined is not a function" might be a good hint the above hotfix was appropriate for my issue. *The "why you expected it" is a good tip Frank van Puffelen shared with me at the California Tridion 2012 user event. Especially on community support channels, avoid bringing frustration and criticism with your question, at least not without a sense of humor. You may have very well found something broken or unexpected with some software or product, but antagonizing the people helping you won't get you very far with Tridion or any other online community. Even in the worse complaints we can treat other people with respect. Read How to Ask Questions the Smart Way, which was a guiding approach on the old Tridion forum and lives on every time someone in the community asks you for clarification on a vague question. For the rest of my favorite shortcuts, see my GetUrlByTopic() post or go straight to Lifehacker for more powerful tips and tricks. 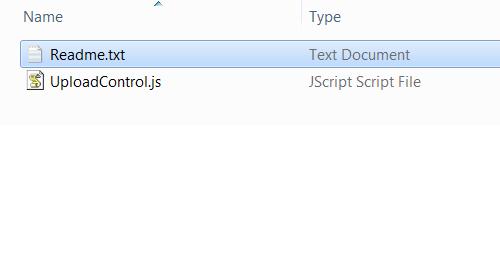 This was a Content Manager update, which happens to include Content Delivery. Revisit tips for CD in this post. Or if you're ready for both, make a VM (2013 GA) and/or maintain one. If all of this is old news, then prove your worth with your own Sixth SDL Tridion Environment.